Many times, the causes of plumbing problems will need to be repaired or you wind up facing them over and over again. Sometimes, you'll find a plumber that appears to be a great choice, only to find that the same plumbing issues keep plaguing your sense of peace. Our plumbing systems should be reliable at all times -and they can be. It takes a plumbing professional many years of training and experience, along with the right attitude, to be able to repair your plumbing issues correctly. 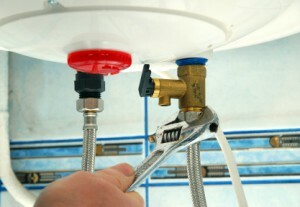 Small projects to large, the Los Angeles Plumbers at TV Plumbing are your go-to experts. Knowing what to look for is key, and having the right tools and equipment that lead to a quick diagnosis and efficient repair is equally important. TV Plumbing technicians stay updated on the latest advances in Los Angeles plumbing repair and maintenance technology, so that we can pass those advances onto our customers. New plumbing technology allows us to better service your LA plumbing problems, from discovering leaks and clogs more quickly to faster service times on major plumbing repairs. We offer years of experience in many different plumbing repair environments in LA County, including home plumbing repairs, kitchen and bathroom remodeling projects, drain and sewer troubleshooting and installation. Not only do we offer the highest quality in Los Angeles home plumbing repairs, we guarantee you'll be satisfied with our work. Since your plumbing pipes and connections are routed throughout your entire Los Angeles home, a leak or break in the line could be located anywhere including underneath your foundation, in attic or crawl spaces, or in walls. With the right equipment, professional plumbers can find the leaks wherever they are and repair them, many times without having to dig up the foundation or tear out walls.